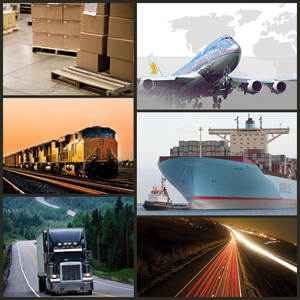 Superior Logistics Solutions is not only our name it is what we do. We help you move your shipments from point A to point B as quickly as you need and at a price that fits your budget. Our alliance with DLW Worldwide gives us access to the best freight carriers in the world, making us the superior choice for truckload, expedited, less than truckload, white glove as well as your import or export needs. Call or e-mail us today to save on shipping and see how we can help you make the best choice for your domestic or international shipments. Copyright © 2010-2017 Superior Logistics Solutions. All rights Reserved. With over 100 expedite, international, LTL and truckload carrier partners through our corporate alliance with DLS Worldwide, we offer you the best transportation options for your shipments, at the very best prices available. Fill out the Rapid Rate form at the left with your shipment information and we will contact you within 20 minutes of your rate quote request. Track your shipments quickly by clicking on the link of the carrier that transported your freight. Enter your shipment tracking, or PRO number to pull all of the tracking details of your shipment. Ship for less with SLS. Looking for a US Zip Code? Find any US zip code on the US Postal Service Website at this link.